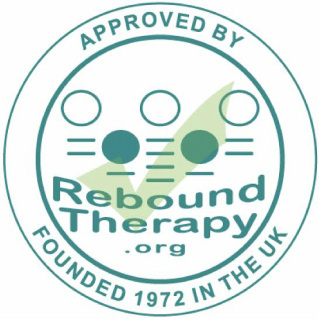 Rebound Therapy is now available in Ireland! From September 2014 Stuntworx Elite have been the first club in the country to offer a much needed service to Ireland and the local community. After a very successful pilot scheme working with local children on the autism spectrum, we have now opened our therapy to the public. Summary: The phrase ‘Rebound Therapy’, when correctly applied, describes a specific methodology, assessment and programme of use of trampolines to provide opportunities for enhanced movement patterns, therapeutic positioning, exercise and recreation for a wide range of users with additional needs. Students' progress is recorded using the Winstrada development programme. Grades 1 and 2 of this programme are based entirely on the genuine 'Eddy Anderson model' training course as detailed on this website. When working with students with profound or complex needs, progress can be accurately measured and recorded using the Huddersfield Functional Index in conjunction with the.Winstrada development programme. The phrase "Rebound Therapy" was coined by the founder, E.G. Anderson, in 1969 to describe the use of trampolines in providing therapeutic exercise and recreation for people with a wide range of special needs. again! What on earth is Rebound Therapy?" In one sense that is a slightly inaccurate question, for the true value of Rebound Therapy lies in the fact that part of what occurs is not "on earth". The essential value of the process is that, for a brief moment, ‘earth’ is left behind, and a new freedom is found in controlled movement away from gravity's straitjacket, in a sort of relaxed 'poetry of motion' available to all, irrespective of any disability. the development and understanding of Rebound Therapy. ensure smooth transitions between the phases of movement undertaken. required will relate to the weight of the body to be lifted. taking up some of the energy of the bed through flexed hips and knees. required to maintain position and balance increases the demand for oxygen. tone. High amplitude bouncing can cause an increase in tone by stimulating the stretch receptors. hemiplegic or athetoid, or by effect on ataxia where tone can be seen to undergo change. output to the important postural muscles. dynamic balance situation is difficult to create in lying, sitting or kneeling. awareness is improved, leading to improved body image and spatial awareness. bouncing, good relaxation is easily obtained. contact and concentration are enhanced by the "focus effect". With Thanks to Eddy Anderson & Paul Kaye for their wealth of Knowledge. Our available options are below. Please be advised that all new clients must take a consultation with a therapist. This may be during an ongoing session or a private session depending on availability. 1 Therapist with 1 client working on individual goals as specified in your initial consultation. Group of 2-3 clients who have simmilar goals with 1 or 2 Therapists. Groups of 6 kids of similar ages working together learning the importance of listening to leaders, allowing others to take their turn and waiting in line as well as working motor skills, coordination and balance.